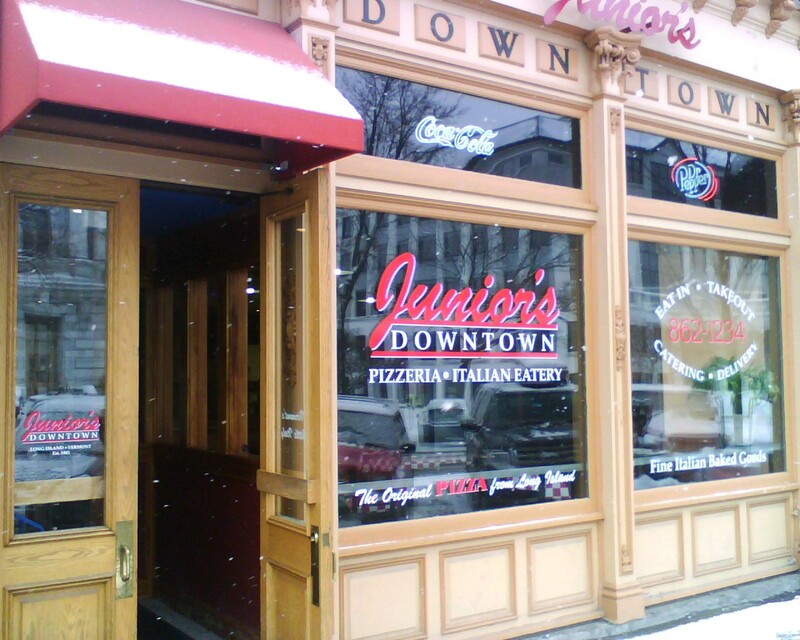 Junior’s expanded a while ago from their Colchester location. They have 6-9ish pies ready for reheating, for lunch / dinner / late night at their downtown Burlington Vermont location. Caramelized onions, zucchini, summer squash?, red pepper, fresh garlic, EVOO and mozzarella round out this creation. Everything is in balance, and all of the ingredients lend a nice sweetness. The pepperoni slice is just classic, some grease, but not overwhelming with trade mark fresh sauce and parmesan sprinkled over it. The crust, as usual, is crisp and chewy. Oddly Junior’s pies aren’t particulary good cold, it’s best to reheat them. 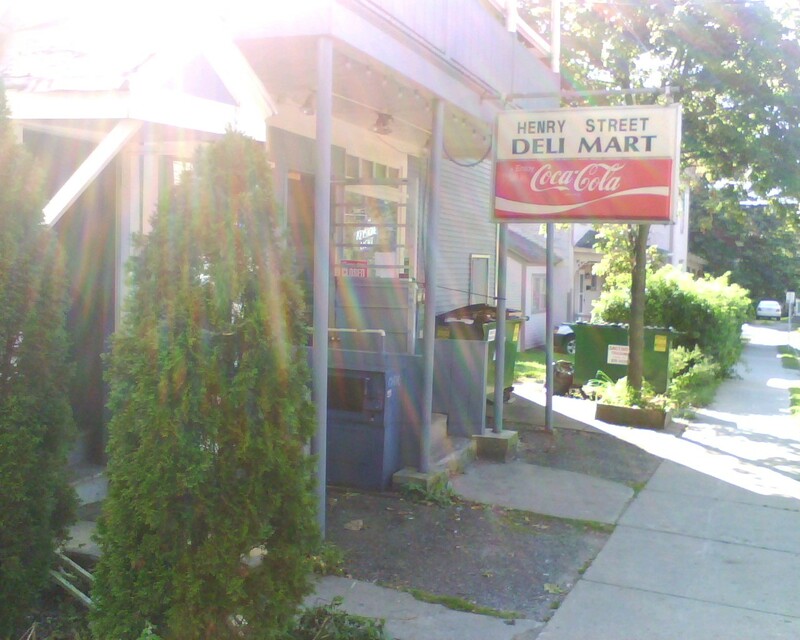 Henry Street Deli Mart is located coincidently on Henry Street in Burlington Vermont. Its close proximity to UVM makes this hidden gem a favorite of students. HSM used to known for not having anything on the shelves, it almost seemed like a cover operation for something else. They NOW have charcoal in the summer, a full deli featuring local McKenzie meat, American Flatbread, La Panciata bakery bread, nice selection of beer and wine thanks to the new owner. 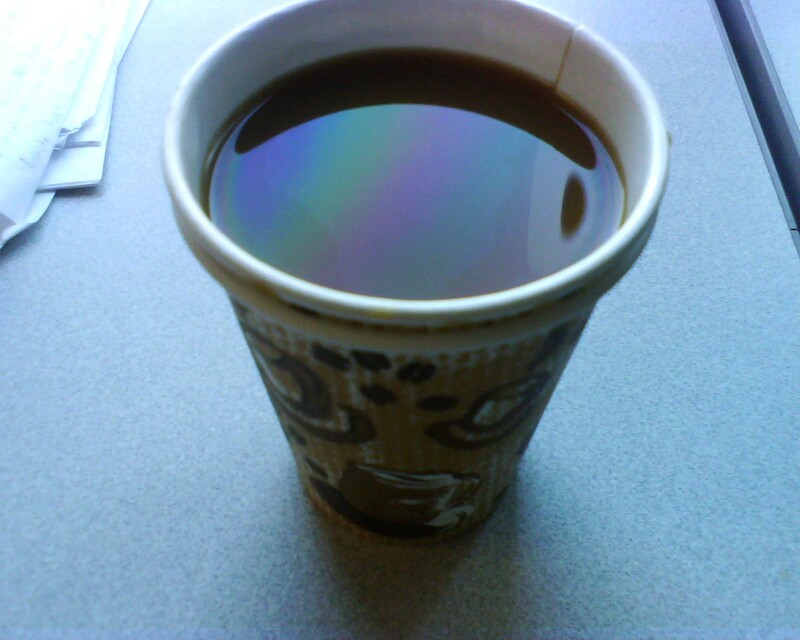 Excellent coffee is served fresh before 8AM from Vermont Artisan Coffee company, a “small” 12oz? is $1.25, a “large” 16oz is $1.50. The coffee makes a nice hand warmer, in addition to its good taste. For $2.70 you get either Mckenzie Bacon, Mackenzie sausage, veggie sausage, with egg and your choice of cheese on a toasted English muffin. While this is a bit pedestrian, I sometimes crave a little bacon in the morning and don’t have time to do a little cooking in the morning, and this sandwich it cooked well. 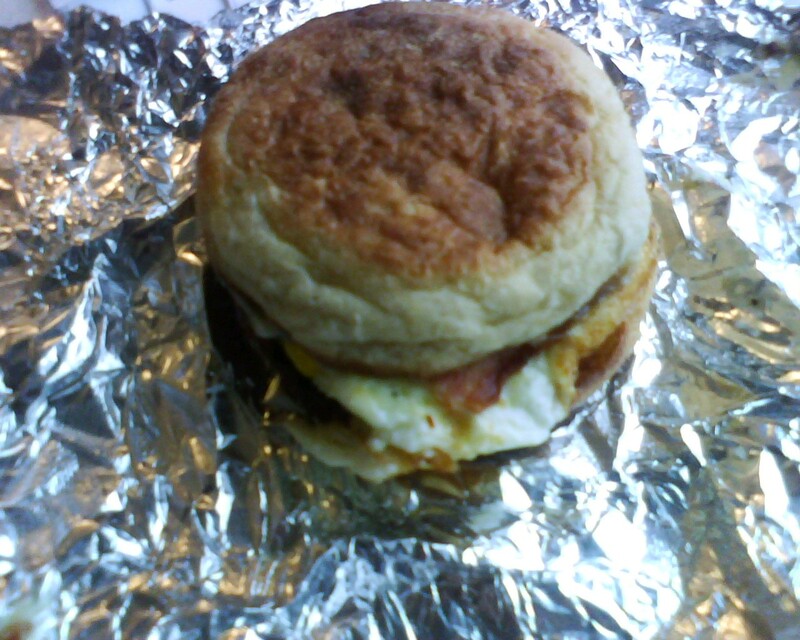 The bacon and muffin are crisp, the egg is not over cooked with a hint of butter, I like to order Swiss with mine. 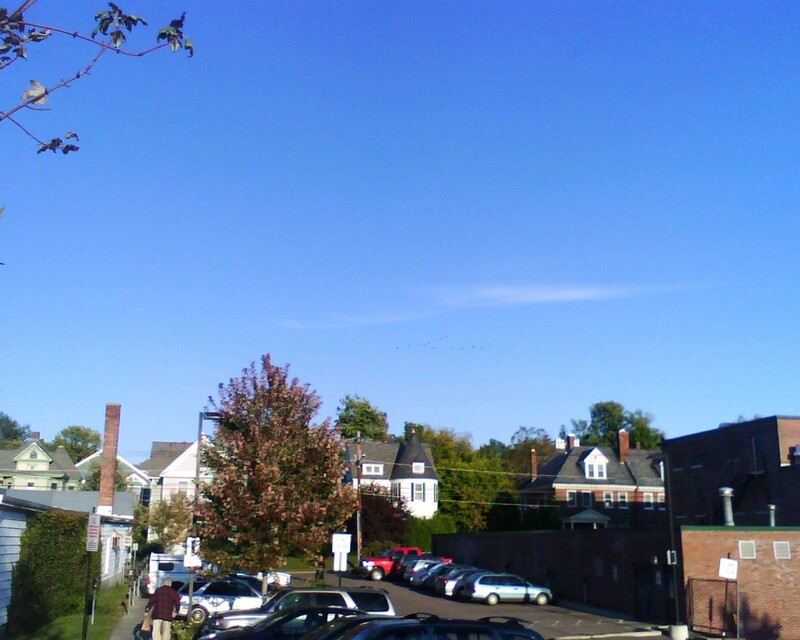 Final note: HSM used to carry Dinky Donuts, but I guess DD flew south (like the geese) to Middlebury. 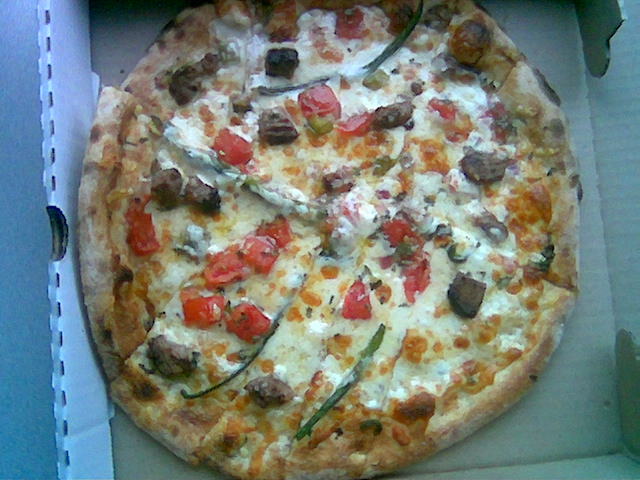 This past Friday I went to American Flatbread: “Burlington Hearth”. 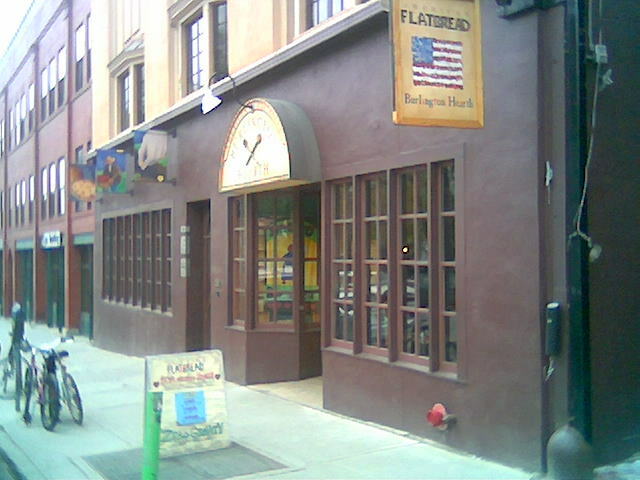 This Burlington Vermont location of American Flatbread is apparently a licensed franchise. In addition of awesome flatbread, they have GREAT microbrew, and an extensive beer list (they also have wine). 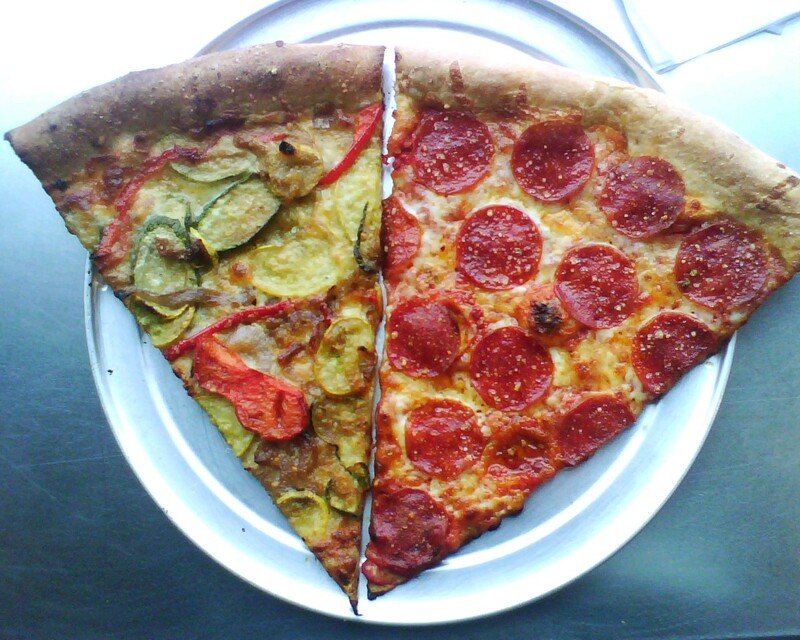 Flatbread is an alternate to traditional pizza, it’s in the same universe but not the same. I haven’t yet made it to the “O.G.” location in Waitsfield Vermont. The flatbread cooked in a wood-fired oven, in the winter it’s a treat to sit near it. Oddly American Flatbread only serves lunch on Friday’s so this is your only day to score some “bread”. I don’t think I’ve ever been disappointed with the food (or brew) at Flatbread, they’ve very consistent, also of note their garden salad is very good / fresh tasting. I wasn’t aware of what tri tip steak was, so I did a little research. The steak was seasoned nicely and had nice beef flavor, it was a little chewy as well-done steak is which slowed down my inhaling of this pie. However the flatbread is chewy (and crispy!) so steak actually worked well. The pico de gallo and chive creme fraiche were not very noticeable. Some bites had a little kick creaminess which were likely the creme fraiche. The Pablano peppers were delicious but I wish there were more of them on the bread. The small pie was $11.45 with tax, the normal menu small pies are in the $9-$10 pre-tax. I’ll be thinking about going back next Friday. 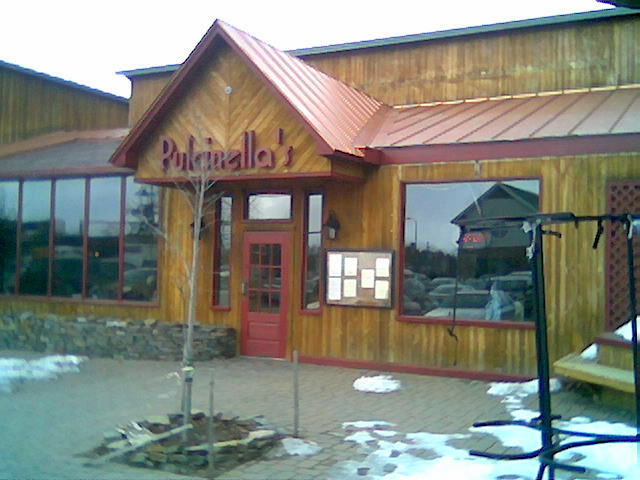 Pulcinella’s Ristorante is a fairly new Italian restaurant at 100 Dorset street in South Burlington Vermont sandwiched between Small Dog Electronics and Eastern Mountain Sports (EMS). The history of the Pulchinella character is on their website. 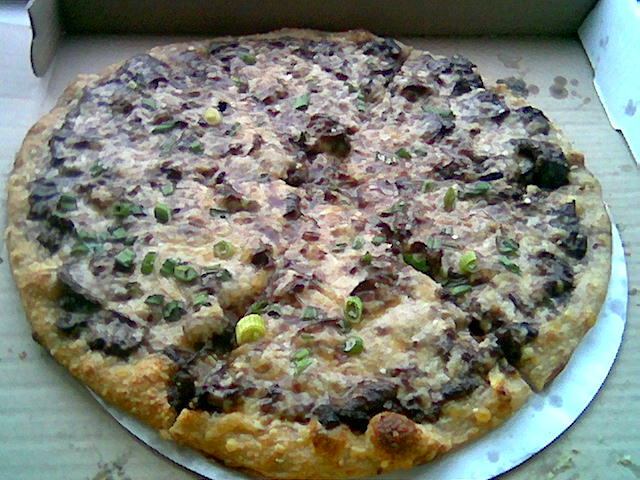 Woodland mushroom sauce, scallions, Parmesan & Asiago cheeses, these ingredients on a 13″ whole wheat crust result in a great pie. It’s almost a flat bread a la American flatbread. There are a TON of mushrooms on this pizza, the sauce is rich, and has some acid (balsamic?). The whole wheat gives the crispy crust a nice texture and compliments the earthiness of the mushrooms. The pie is a little rich and would be better alongside a second pie, so that you could alternate slices to cleanse the palate (the first couple bites are awesome, I think my taste buds started suffering from mushroom fatigue). The cheeses have a slight bite, which help with the flavor balance. Despite my best effort I couldn’t finish this pizza in one sitting (this pizza is good cold). At $13 before tax, this pie kind of blows my lunch budget, but it’s unique, yummy and there were left-overs.